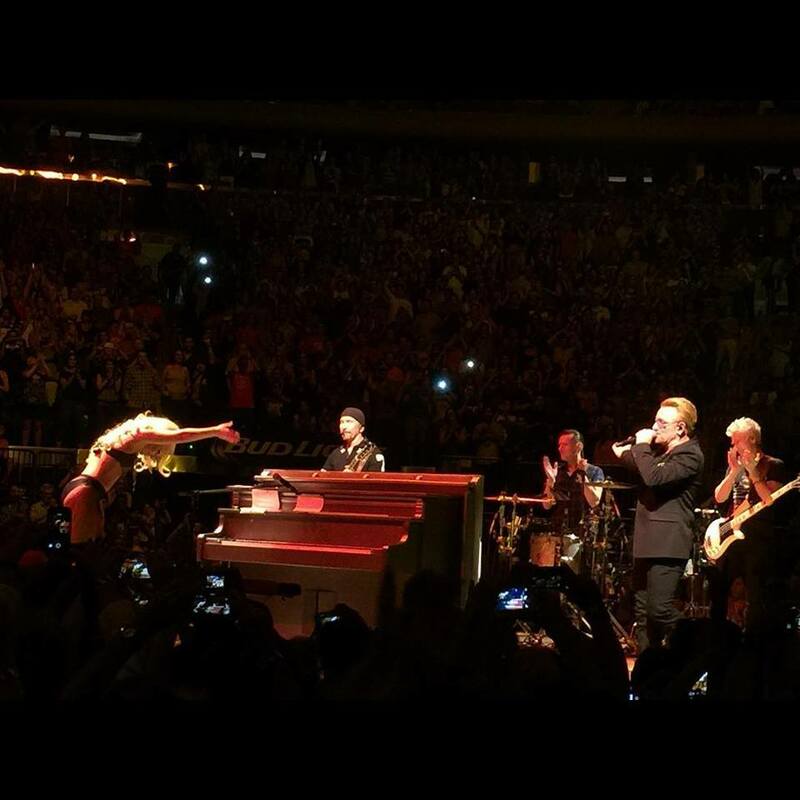 U2 were joined by Lady Gaga for a performance of “Ordinary Love” at New York’s Madison Square Garden on Sunday. “All hail Her Gaganess”, posted the band on their social media sites. U2 won a 2014 Best Original Song Golden Globe Award for the tune, which also received an Oscar nomination in the Best Original Song category at the 86th Annual Academy Awards. Sunday’s concert is one of 8-shows at Madison Square Garden that will see U2 wrap up the North America leg of their “Innocence + Experience” tour on July 31 before taking a five-week break; they’ll return to live action in early September to play across Europe.